In late 1998 Iran readied its armed forces for an invasion of Afghanistan. Last-ditch diplomacy defused tensions and prevented a potentially destructive conflict. On Aug. 8, 1998, the Taliban, which then ruled around 90 percent of Afghanistan, seized the city of Mazar-e-Sharif. During the invasion, Taliban forces murdered 10 Iranian diplomats and a journalist in the city’s Iranian consulate. On Sept. 3 the Taliban released five Iranian truck drivers it had taken hostage, but denied knowledge of the diplomats’ fates. Three days later, U.S. spy satellites spotted 70,000 Iranian troops and 150 tanks massing on the Afghanistan border. One week later, Taliban leader Mullah Omar in a letter to United Nations Secretary-General Kofi Annan admitted the Taliban had killed the Iranian diplomats during the takeover of Mazar-e-Sharif. But Omar blamed renegade members for the massacre. Iranians were eager for revenge. War seemed unavoidable. “I think that whether we like it or not, we are heading toward some kind of military confrontation with the Taliban,” remarked Sadegh Zibakalam, Tehran University’s professor of politics. Omar’s admission that the Taliban killed the diplomats raised tensions by mid-September. Even though the Iranian military’s border presence rapidly rose, peaking at 200,000 on Sept. 20, Western diplomats doubted that Iran actually would launch a direct military assault. At best, they predicted, Tehran would support an assault by 8,000 anti-Taliban Afghan fighters Iran also was assembling on the border. However, anti-Afghan proxies arguably would have posed little real danger to the Taliban. Factions that Iran supported against the Taliban in the Afghan civil war, such as the Shi’ite Hezb-i-Wahdat group, primarily were based in Bamiyan province, situated in the center of the country hundreds of miles from the Iranian border. To make matters worse, the Taliban captured the provincial capital of Bamiyan during its stand-off with Iran. Afghans invoked the disastrous Soviet war in the country, which had ended 10 years earlier with a demoralized Red Army withdrawing from the country. “As thousands of Iranian troops mass across the border, Afghans are preparing to turn their land into the inhospitable host that has doomed invading armies over the centuries,” Dexter Filkins reported in The Los Angeles Times in early October 1998. Were Iran to have launched an incursion and captured the city of Herat, which is close to its border and has a Sh’iite Muslim minority, Naseerullah Babaar, a former Pakistani general and a Taliban founder, predicted doom for Tehran. Facing nine divisions of the Iranian army were dug-in Taliban forces numbering just 10,000. But thousands more armed Afghans were taking up arms to resist any potential Iranian attack. Nevertheless, the Taliban leaders announced that if Iran did attack, they would fire surface-to-surface missiles over the border at Iranian cities. Religious scholars told Afghans that any Iranian attack would justify jihad against Iran. Afghans briefly set aside their disagreements to face a common external threat. 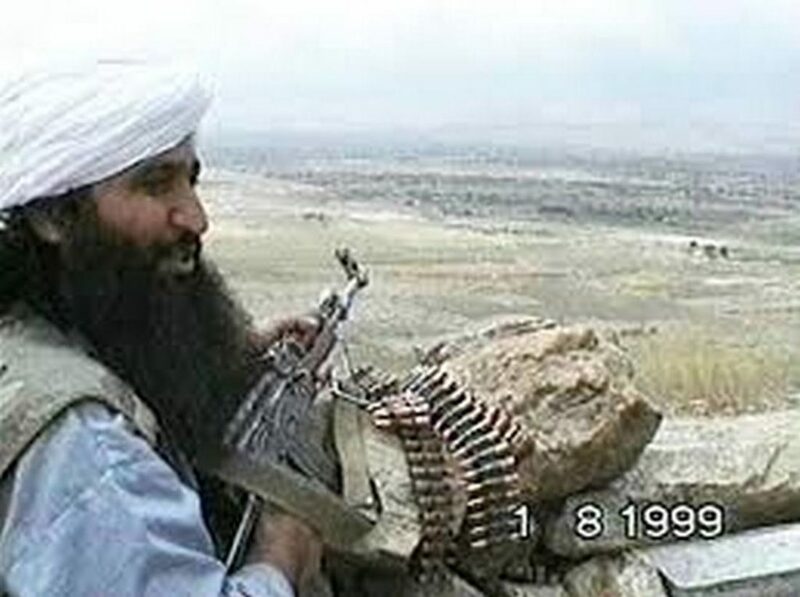 The Taliban even handed out guns to civilians living in the border regions with Iran. Babaar speculated that the tribesmen of northeast Pakistan, who are ethnic Pashtuns like most of the Taliban’s members are, would fight Iranian troops. Then India, Pakistan’s long-time foe, would clamp down harder on Muslim separatists in the disputed Kashmir region in a bid to distract Pakistan. Iran sought to disentangle itself from a possible war with Afghanistan while simultaneously saving face. Mohammad Khatami, Iran’s president at that time, went to the United Nations General Assembly seeking assistance from the international community. On Oct. 8, 1998, Tehran claimed its army on the border fought a three-hour battle with the Taliban and killed several of its fighters. The Taliban denied any close fighting had taken place but claimed that Iran launched cross-border artillery bombardments over the course of the preceding three days. Following over a week of shuttle diplomacy Lakhdar Brahimi, a U.N. special envoy, said that tensions had abated and that the prospect of war likely had passed. After meeting with Brahimi, the Taliban released 26 Iranian prisoners. Iran and the Taliban held talks in Dubai the following February. During the talks, Taliban spokesman Mutawakil told the Iranians that his group intended to punish the diplomats’ murderers.